WD750AALS with pcb 2060-701567-000 REV A.
I've read about the transfer of the bios data from the Marvell chip, but I suspect it has gotten hot too (as seen by the burnt foam). Would it still be possible to get a new PCB and "program" it to bring this drive back to life? As Ive watched some videos, there is bios chip onto the pcb which has to be transfered to the donor board which has to be exactly the same, then after what you have to do? Im quite unsure. I hope this kinda helps. Thanks, but this pcb does not have a bios chip, U12 on the board is empty. 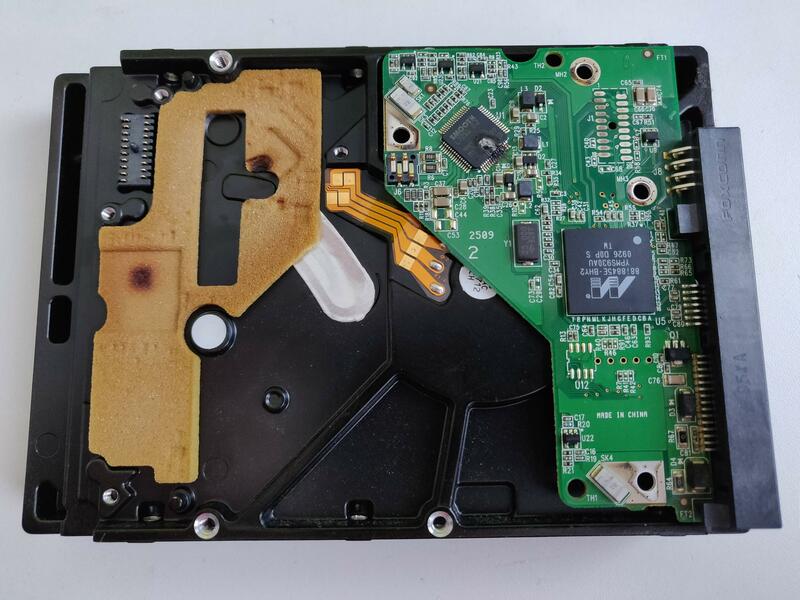 Buy hard drive PCB circuit boards for Data Recovery! Western Digital, Seagate, Samsung, IBM/Hitachi and Maxtor HDD PCBs with Free Shipping! Try those, hddzone seems promising, you can email them. Ive tried searching 2060-701567-000 part number and it has with revisions. Was a burnt FFC hard drive connector cable the root of my problem?